How do you stir up some interest in Android Wear 2.0? Maybe by releasing a watch that combines new-fangled smarts with old-fashioned mechanics, which is exactly what Tag Heuer is reportedly about to do. Insider sources speaking to Android Central say the Tag Connected Modular will be with us on March 14, bringing with it customizable lugs and a choice of straps and clasps. The wearable will also have an automatic head module that lets users switch between a smartwatch and a mechanical watch as they wish. Such a device would certainly have broad appeal, targeting both those who want a modern smartwatch as well as those who are happier with something more traditional… of of course anyone who wants a bit of both would be catered for too. 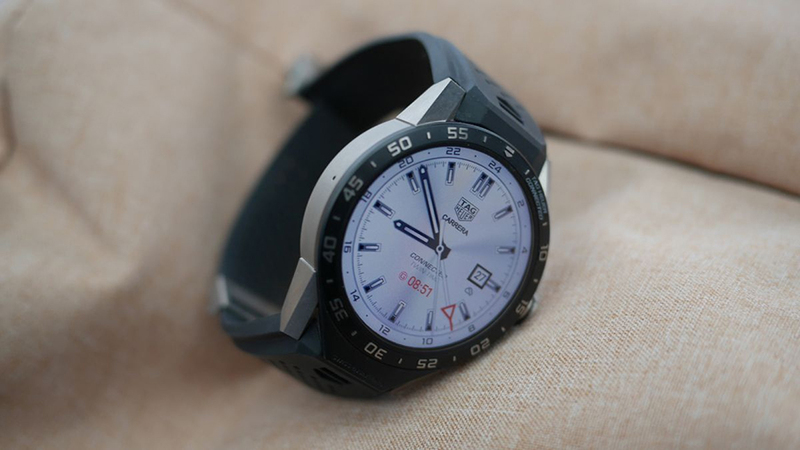 Tag Heuer executives have gone on record as saying there is going to be a successor to the 2015 Connected smartwatch – which was a decent effort despite being ridiculously expensive – and so it’s no real surprise that details are now starting to leak out. However with no official word from the watchmaker itself yet, we’re left with a lot of blanks to fill in about what this new device will look like and how it’s going to work. Android Central’s moles weren’t able to provide pricing details but it’s unlikely to be cheap if Tag Heuer’s existing smartwatch (RRP $1,500) is anything to go by. With Android Wear 2.0 now out in the wild and a couple of brand new watches available to show it off, 2017 is shaping up to be a much busier year in the smartwatch market than 2016 was. The Tag Heuer Connected Modular may not be for everyone but the more choices the better for consumers.